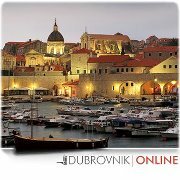 I'm Belgian, I was in Dubrovnik in July this year, I'm coming back in September and I'm really seriously considering applying for a summer job for next year in (the neighbourhood of) Dubrovnik. Can anyone tell me how I could manage that? Who I should contact? It would be very nice if someone could give me some practical information or advice. Otherwise you could also contact the ministry in your country and ask for further informations.